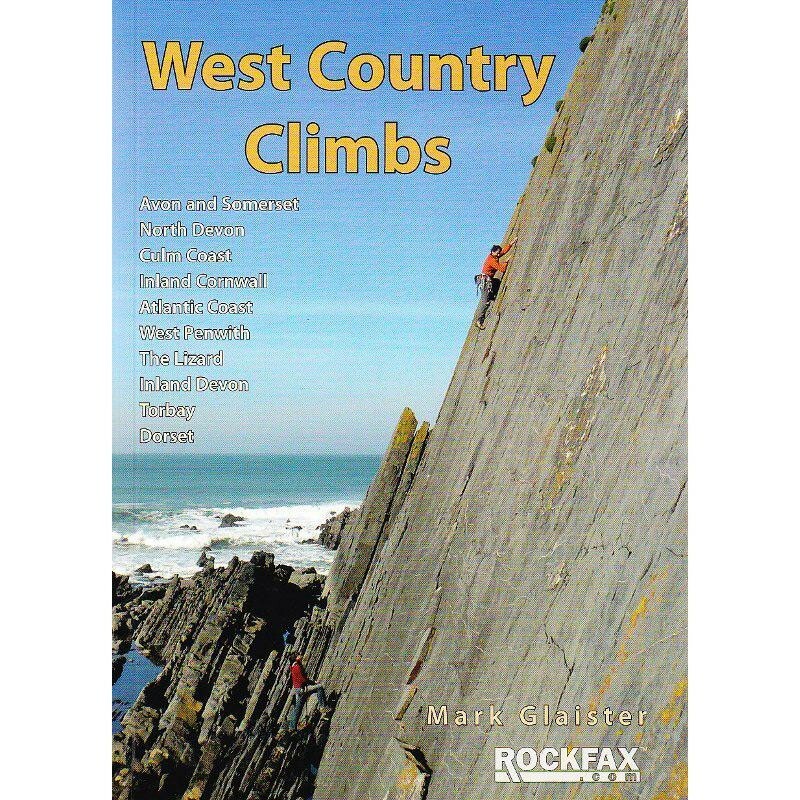 A selected rock climbing guidebook to the best climbs in the West Country of England. A huge book covering the superb climbing in the south west of England. This is a full Rockfax book, with lavish colour illustrations and some amazing photo-topos. Although a selected guide, it contains many routes on lesser-known crags giving comprehensive coverage for all climbers wanting to visit this great holiday area. Avon and Somerset, North Devon, The Culm, Atlantic Coast, Inland Cornwall, West Penwith, The Lizard, Inland Devon, Torbay, Dorset. The guidebook covers around 800 of the West Country's most popular and highest calibre climbs, which span the full spectrum of climbing styles and grades; from committing multi-pitch sea cliff routes, to easy-going inland sport climbs.